Exploring our Fair Trade+ Gallery is always a new experience. We continuously discover vendors and products that we know you're going to love, so our collection continues to expand. 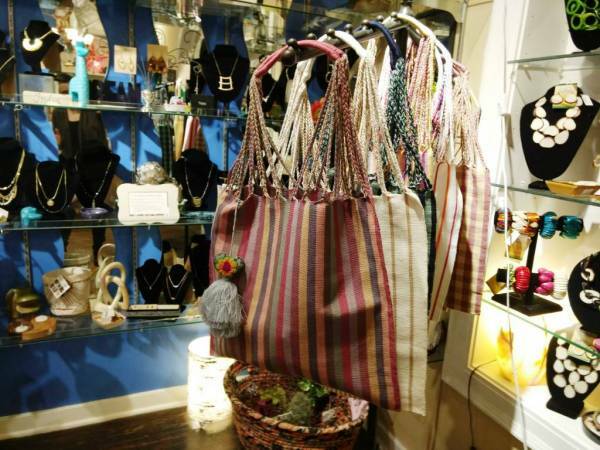 The Little Traveler now has the most extensive selection of Fair Trade goods in Chicagoland. Make sure you're on our weekly list to be in the know when we announce our plans for celebrating 5 years of Fair Trade at The Little Traveler! Milagros purses and handbags are handmade in Chiapas, Mexico. Each piece is lovingly made with pride in every detail. The close-knit community of artisans is hard working and embraces life with happiness. The word milagros means "miracle." 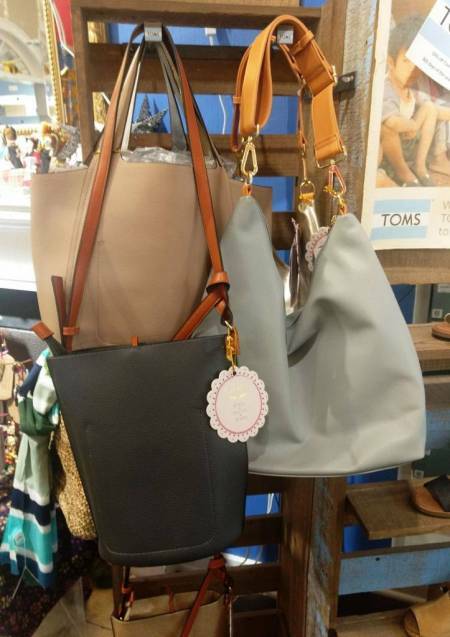 A fitting name since these handbags provide the miracle of opportunity to artisans in the beautiful but poverty-stricken area of southern Mexico. Milagros is a project of Melania Clara, a popular family-owned jewelry company in Atlanta, GA. 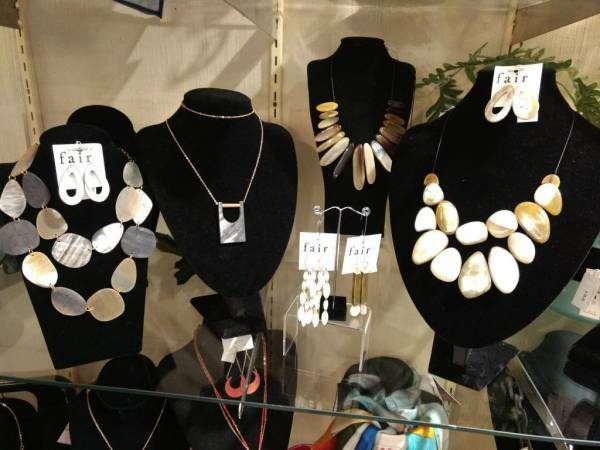 The Faire Collection of jewelry is designed in New York City and handmade by Fair Trade partners in Ecuador and Vietnam. Amanda Judge, founder, and her team travel to remote corners of the world to find undiscovered artisans living in marginalized conditions. They help the artisans develop their skills to create pieces that celebrate their cultural heritage. Artisans are paid dignified wages and are thus provided a path out of poverty. To make bull horn jewelry, Fair Collection partners in Vietnam recycle bull horns discarded by local stockyards. By applying heat and water, craftspeople are able to mold and sculpt the horn material. Each horn has a unique combination of colors, so each piece of jewelry is one-of-a-kind. Since partnering with Faire Collection, Binh, the owner of the Vietnamese workshop, has been able to improve working conditions for his artisans. He's built proper fire exits and provided uniforms as well as masks and protective gear. Tagua jewelry is made from the sustainable tagua nut, naturally sourced by Faire Collection in Ecuador. The nuts are either collected from the ground or retrieved from high up in the trees by skilled farmers, who cause no harm to the trees. Tagua is often called "vegetable ivory" because of its hardness and density, which allow it to be carved and polished like an elephant tusk. 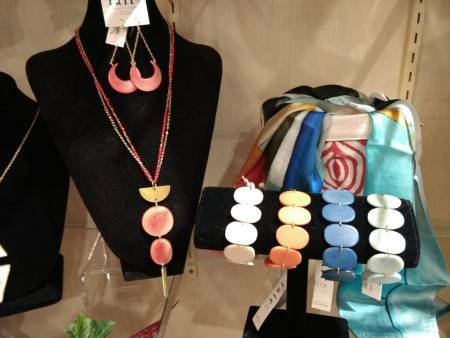 The growing use of tagua in jewelry is great for the environment in two ways. 1) It reduces elephant poaching by providing a beautiful alternative to elephant ivory. 2) It helps ensure the survival of rainforests by providing its inhabitants an income alternative to logging and selling forested land to destructive industries. With fibers sourced from organic farmers*, all Maggie's Organic socks are knit by one of four independent family knitters in North Carolina, USA. Maggie's has been walking the Fair Trade walk since before anyone started calling it Fair Trade. The company is dedicated to the people working at every step of the process and believes in establishing long-term relationships, sharing risks, and continually working to improve quality of product as well as quality of life. 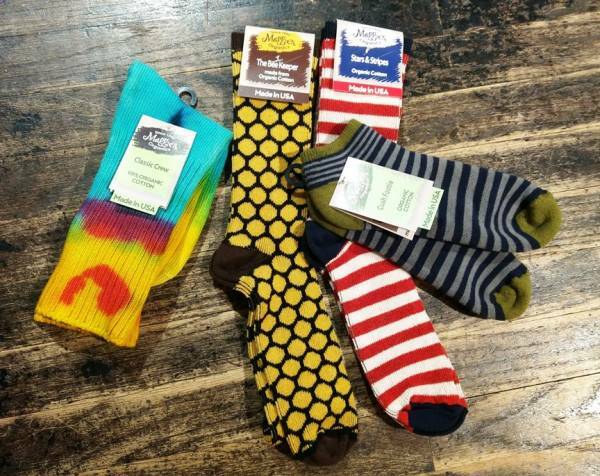 The bright & colorful Spring 2019 collection of socks is lightweight and stretchy in colors that won't fade. A portion of proceeds from some Maggie's Organics collections are donated to worthy causes—like the Bee Keeper Sock: 20% of proceeds are donated to Friends of the Earth Bee Action program to help save bees. * For seven years, Maggie's Organics purchased organic cotton from a farming cooperative in Nicaragua, forming a true partnership. Sadly, those farmers lost their ability to produce due to increasingly unpredictable weather patterns. Until Maggie's can develop a solution in Nicaragua, the company is temporarily sourcing certified organic cotton from Pakistan and is working to develop a relationship with a group of organic farmers in West Africa. ROMA Founder Samuel Bistrian knows first hand what it's like to live in poverty. He was a child in communist Romania. He also knows what a difference a good pair of boots can make in a child's life. 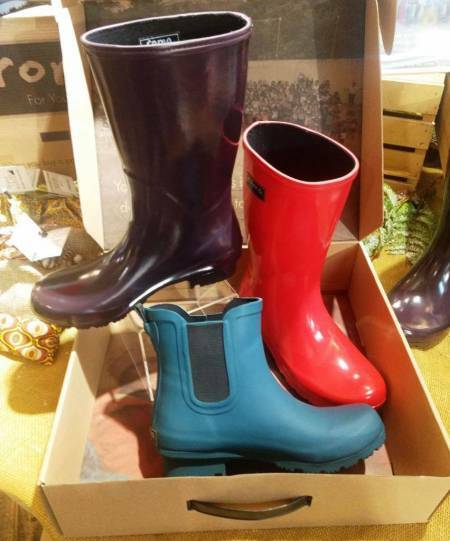 Inspired by Blake Mycoskie, founder of TOMS shoes, Samuel combined his passion for fashion with his desire to help others and created the ROMA collection of natural rubber rain boots. For every boot sold, a brand new pair of boots is given to someone living in poverty. 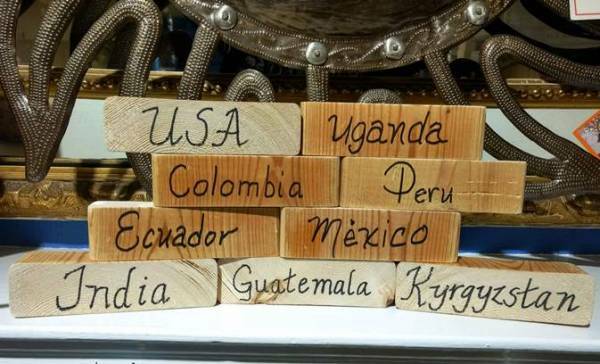 To date, ROMA has donated boots across five continents in twenty-five different countries, including the United States. 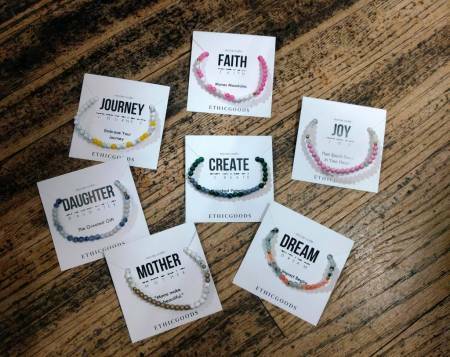 These Morse Code bracelets from Ethic Goods empower women who've been rescued from human trafficking and those at risk of exploitation. 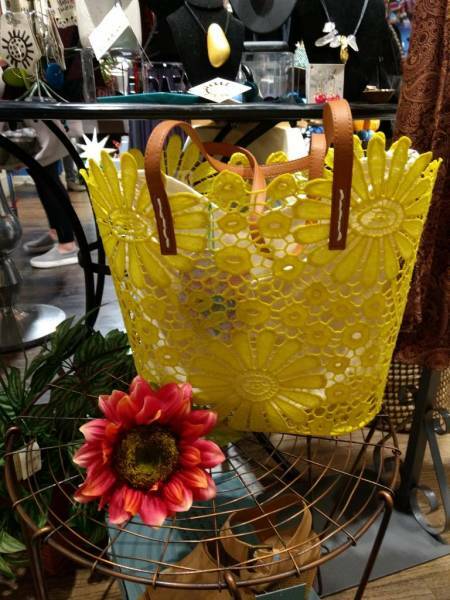 Each one is handcrafted in Thailand by the woman it helps employ. Colored semi-precious stones and glass beads are strung onto elastic in Morse Code patterns of dots and dashes to spell words with meaning. Each one comes on a card explaining its meaning—making them ideal for gift giving. Encourage those you love while giving a woman you'll never meet the opportunity to rise up. Based in Washington, DC, Ethic Goods partners with community-centered non-profits (primarily in Southeast Asia) that focus on strengthening the family unit and that provide counseling, education & healthcare to their workers. The plus (+) in our Fair Trade+ Gallery is for philanthropic companies that may not be Fair Trade certified but that still do their part to lift others.